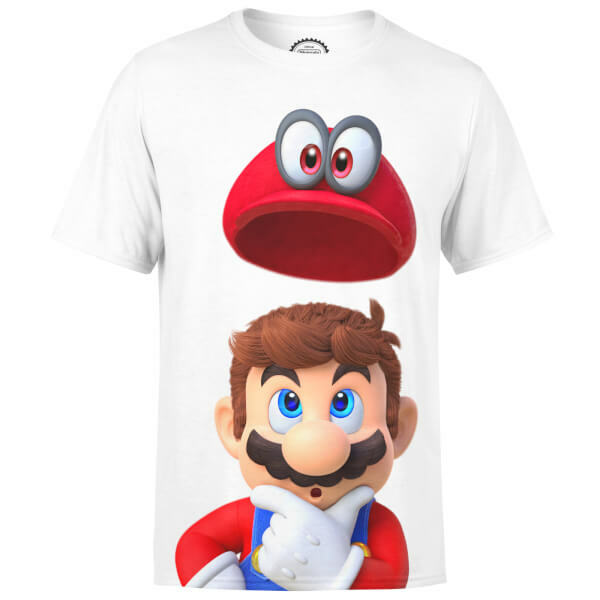 This Super Mario Odyssey T-Shirt is available in a range of sizes (from Small to XL) and features Mario and his new companion, Cappy - from Super Mario Odyssey. This white short sleeved T-Shirt has a crew neck and is machine washable. This white t-shirt features Mario and his new companion, Cappy - from Super Mario Odyssey. Material is cheap print is good, but really expected better quality material for the price.